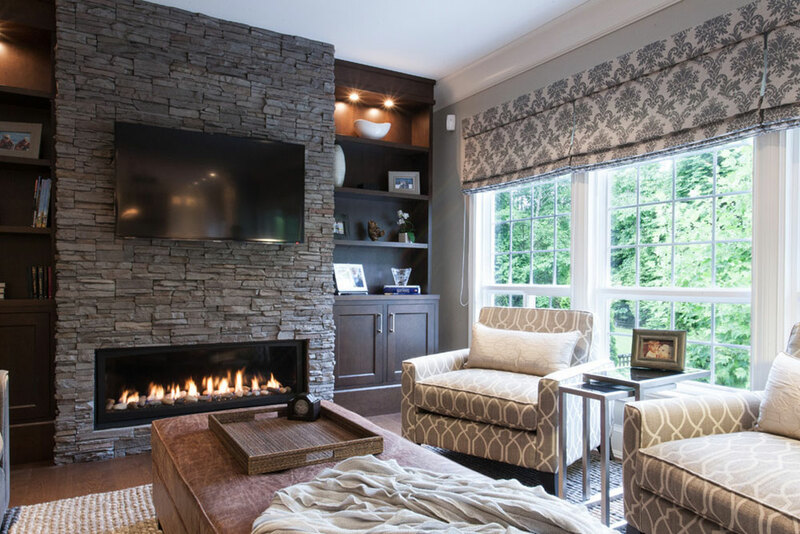 Are you looking for the best electric fireplace to add style to your home" From an electric wall fireplace to a free standing electric fireplace, there are lots of different options to choose from. There are so many different types of fireplaces to choose from, from an electric wood stove to a recessed electric fireplace. If you already have an electric fireplace you might simply like to add an electric fireplace insert. Alternatively, you may like to add a modern electric fireplace to a new room. No matter your goals, there will be a great product out there for you. Image source: Kenorah Design + Build Ltd.
A wall mounted electric fireplace is very simple and easy to use. All you have to do is mount it upon the wall. Wall mounted fireplaces are easy to lift and you may even be able to do this installation yourself. However, working with a partner will make the process easier for you. Many people install a wall mounted fireplace higher up on a wall so that it is out of reach of small children and pets. However, there are no height restrictions and people in adult homes can install fireplaces at a lower height too. Given this flexibility, your electric fireplace wall mount is a safe, efficient and easy way of adding a fireplace to your home.